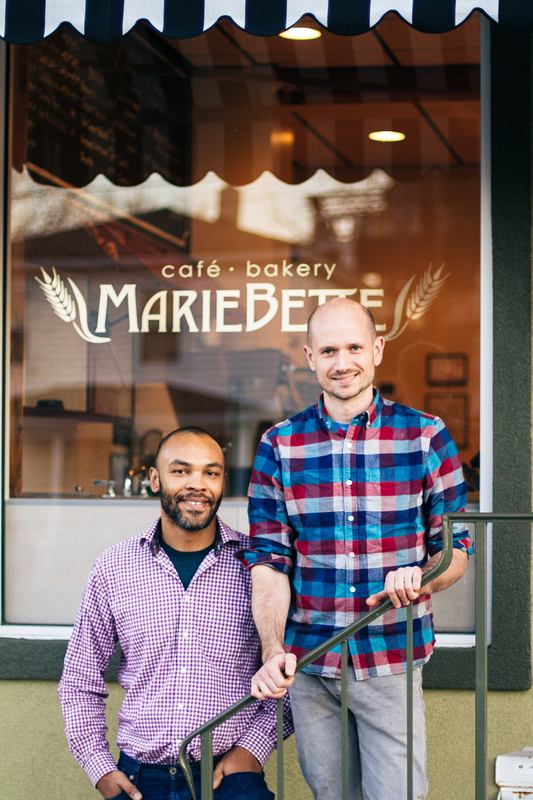 Jason and Patrick, the owners of MarieBette Café and Bakery, are a dynamic culinary duo. This couple is living their dream and making some seriously delicious food over on Rosehill Drive at their European-style restaurant and bakery. This week, meet Patrick. Next week, meet Jason. I am one of the owners of MarieBette Café and Bakery (700 Rose Hill Drive). A favorite weekly or monthly food special. Beef Soup on Fridays at Cafe 88. This has been my go to meal throughout the winter, warming me up with a great balance of veggies, protein, carbs, and just enough spice. A favorite local artist (any type other than musician). Love my father John Borden Evans‘s paintings, who just had a great retrospective at Woodberry Forrest School. His paintings capture the essence of the place I grew up (North Garden, VA). We are very lucky to feature his work in our dining room at MarieBette. A favorite local gallery/venue to see art. Les Yeux du Monde is great gallery in a beautiful setting, just north of Charlottesville. Charlottesville is a city filled with local-loving people, and a spirit of community and collaboration unlike anywhere else. Every week, Cville Niche celebrates that spirit by featuring a local’s top picks. Check out previous local check-ins!